J.M. Snyder » Hawaiian Wedding is now available! Hawaiian Wedding is now available! 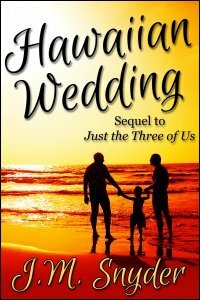 My latest novel is a sequel to last year’s Christmas tale, Just the Three of Us, and you can buy Hawaiian Wedding today!